JVE International is publishing JVE Book Series on Vibroengineering ISSN 2351-5260. The book series reports new developments in the field of engineering related with all aspects of vibrations. Primary importance is for problems in Vibroengineering of dynamical systems, while principal topics are vibration and wave processes, vibration and wave technologies, nonlinear vibrations, vibroshock systems, generation of vibrations and waves, vibrostabilization, transformation of motion by vibrations and waves, dynamics of intelligent mechanical systems, vibration control, identification, diagnostics and monitoring, applications of vibrations in all areas of engineering. Book Series on Vibroengineering provides an international scientific peer review board that reviews the material and leads your work to the gateway of worldwide scientific recognition. In addition, JVE International ensures exceptional price, quality and time conditions. The size of monographs published in the series should be from about 100 pages and should not exceed 500 pages. Page size, margins, fonts, requirements for the preparation of figures and tables, presentation of references and so on are the same as given in the General Requirements of the "Journal of Vibroengineering" and they are also presented in the Template. JVE International Language editing and translation department is able to provide translations from Chinese, Russian to English and ensure the correctness of English language. The book series is aimed at the International engineering and scientific community. 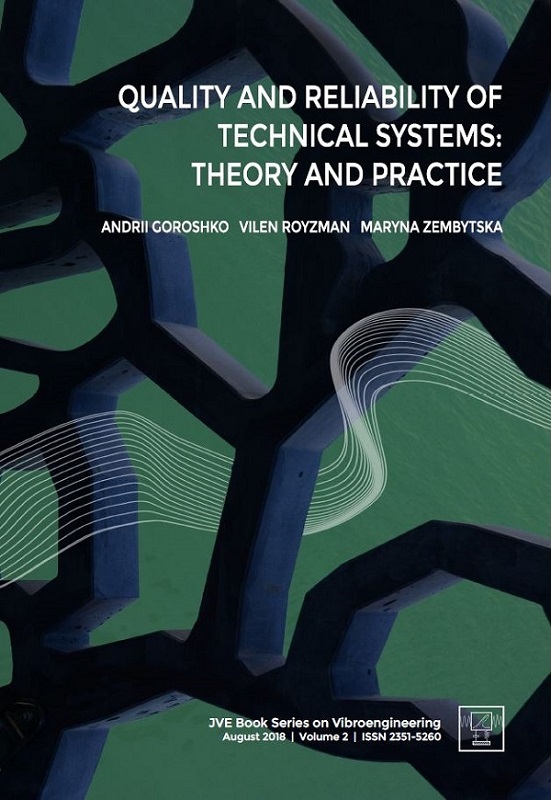 It is recommended for scientists, researchers and engineers involved in engineering analysis and design in the field of creation and development of contemporary vibration technologies, as well as for professors and teaching staff of universities. The authors are expected to cover partial costs of publication. All details will be discussed after the submission of the draft by the authors. If interested, please Contact Us for the submission link of book series. JVE International is waiting for your submissions and expects fruitful cooperation in the process of publication of the book series on Vibroengineering. Published by JVE International Ltd.